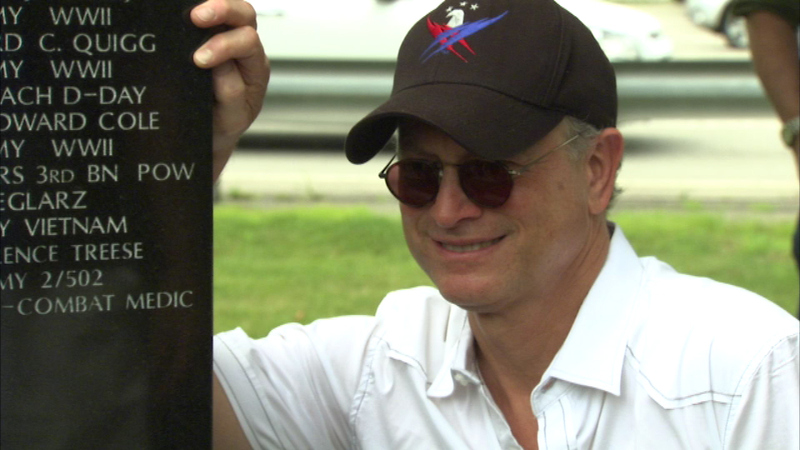 Actor Gary Sinise saluted Vietnam vets in south suburban Lansing Sunday, making a donation to the veteran's memorial. LANSING, Ill. -- Actor Gary Sinise saluted Vietnam vets in south suburban Lansing Sunday, making a donation to the veteran's memorial. A long-time supporter of veterans, he created the "Gary Sinise Foundation" in 2011 to help veterans, first responders and their families. "That's what I wanted to do (Sunday), is just kind of give a salute to our Vietnam veterans and to all veterans who have sacrificed and who are honored here at the Lansing memorial," Sinise said. The event also included a free concert along with food and drinks.